SCSBC is pleased to have welcomed another new member school in December 2017. Haida Gwaai 2018 on location for CEBC members in SCSBC schools. The new BC curriculum incorporates Indigenous perspectives throughout K-12, and this course may qualify for Christian Perspectives credits at your school as well as with TWU. July 25- August 3. Experiencing Christ in the Classroom Cultivating Practices that Promote Integration of Faith and Learning, a ten-month job-embedded pro-D experience starting August 13-17. TfT Activate invites, nurtures, and empowers teachers who are new to your existing TfT program with the knowledge and skills they need to begin imagining the role of Teaching for Transformation in improving student learning. TWU. August 20-21. PBL Residency challenges teaching professionals to re-imagine learning and teaching in Christian schools. There are two courses to choose from: Foundations and Digging Deeper. Educators Leadership Development Institute (ELDI) Expand your leadership abilities with a week at ELDI 2018 in Sumas, WA. The deadline for completed applications is March 30, 2018. www.csionline.org/eldi. July 8-13. This is a not to be missed opportunity. 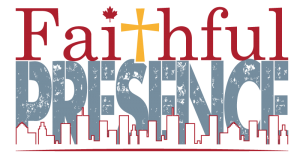 Save the date – September 26-28, 2018 – for the 9th Christian Schools Canada conference, to be held in our country’s beautiful capitol city of Ottawa, Ontario. The Deeper Learning Pre-Conference is on September 26. Canadian and international Christian school leaders include delegates from Australia, Africa, Central America and the USA. 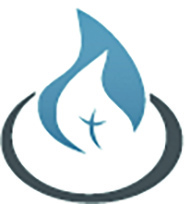 www.christianschoolscanada.com/conference-2018.